Place beans in food processor or blender. Cover and process until slightly mashed; remove from food processor. Mix beans, chilies, bread crumbs and egg. Shape mixture into 5 patties, each about 1/2 inch thick. Coat each patty with cornmeal. Heat oil in 10-inch skillet over medium heat. Cook patties in oil 10 to 15 minutes, turning once, until crisp and thoroughly cooked on both sides. Spread bottom halves of buns with mayonnaise. 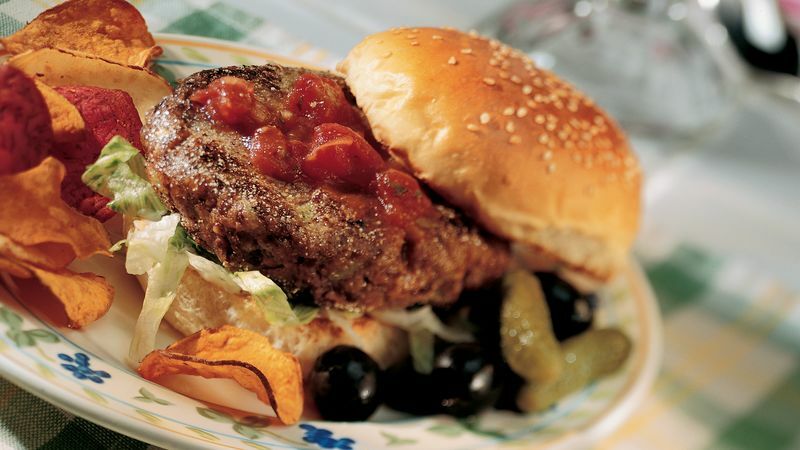 Top with lettuce, patties, salsa and tops of buns. Coating the patties with cornmeal gives them a delicious crispy coating. If the seasoned black beans aren't available, use unseasoned black beans and add one teaspoon chili powder.